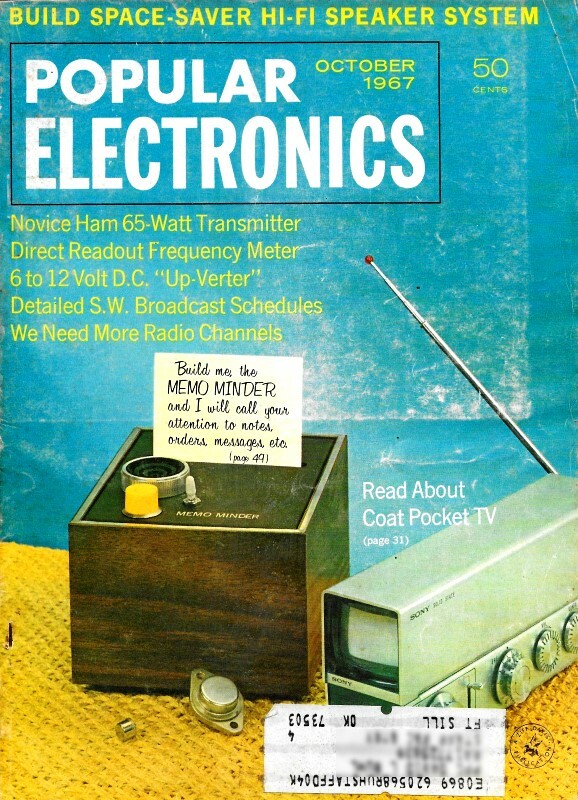 I found one more electronics quiz in a copy of my vintage Popular Electronics magazine collection. Robert P. Balin published scores of these quizzes over the span of a couple decades. Unless you have created a few quizzes yourself, it might seem like there is nothing to it, but even relatively simple ones like this requires the creator to think up the problems and then guarantee that the answers given are correct. No, it's not rocket science, but try creating a dozen quizzes with 8 to 10 questions; it could take a while. Anywho[sic], this Electronics Switching Quiz requires you to consider the switch positions and then determine which lamps will turn on. In the circuits shown below (1-8), the position of each switch can cause all, one or more, or none of the lamps to light. Exactly what happens can be completely specified by selecting one statement (A-L) from each of the four sets of switch positions listed. Lamps are considered as "on" when lit to any degree of brightness. Find the four statements that describe the behavior of each circuit under all switching conditions, and insert the four letters corresponding to the applicable statements in the spaces provided.